We all know that sugar is terrible for our health, and can be one of the causes of diabetes, obesity, and even feeds cancer cells. Also, I’m sure by now you also know how terrible all those artificial sweeteners are for you too! Well, I have a new one to introduce you to that you may not have heard of yet. It’s called coconut sugar. What is it and how is it different? I’m going to break all of this down for you! Everything from white sugar vs brown sugar and coconut sugar (the newcomer on the block). I’m going to share with you the positives and negatives of all these sweet options! We all know that that sugar is NOT good for us and that we must try and steer clear from it at all costs. But why do we still continue to consume it? The average American consumes three pounds of the sweet white poison per week! And it’s easy to understand why. We know that sugar is addictive, some studies suggest that it is 8X more addictive than cocaine! What? How can that be…well, have you tried to go off of it? I dare you to try it and see what happens- then you’ll understand what I mean! 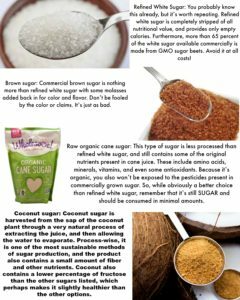 In light of this knowledge, many people are attempting to choose a “healthier” sugar, opting for the more natural sugar options at the grocery stores. 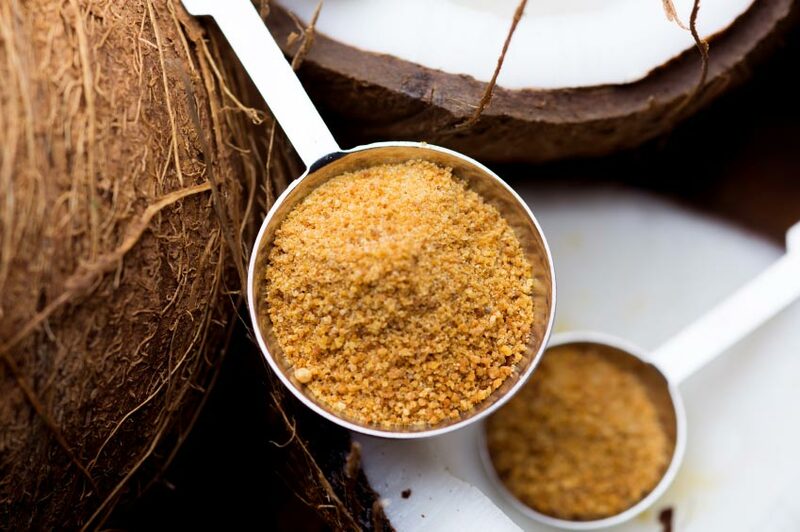 Have you heard of coconut sugar before? Have you used it or even baked with it? If so, share some recipes or tell us what you think of it! MAKE SURE TO SUBSCRIBE TO THIS BLOG so you get my weekly health and fitness emails filled with everything from healthy eating, promotions and lots of other goodies!